JLA Summer Blog Tour or Ten Reasons Why to Read The Lux Serie - My Life Is A Fairytale That Will Never End. 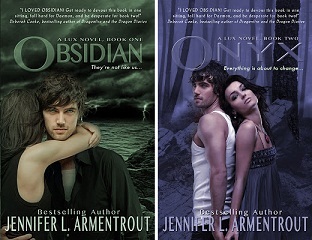 The Jennifer L. Armentrout Summer Blog Tour is an idea of K-Books. Today is my stop and I am really excited about it! Omg, this guy!! This guy will make you forget about the Prince Charming, Edward Cullen, whatever! Yes, he is that hot. “How long have you been standing there?" "Just long enough to see you give Daemon the middle finger." It's pretty cool that we can read about something new. Vampires, Faeries are awesome, but hell, Aliens are awesome too! Really, there is always something that you haven't seen it coming! 10. Jennifer L. Armentrout rocks! Hopefully, if you haven't read this serie yet, this post will convince you to do it ASAP! :) Believe me, it's so freaking worth it!